Thanksgiving is now behind us and the last month of the year is closing in. There is so much to be thankful for. This past year many have come to a saving knowledge of the truth. Many eyes have been opened and stone-hearts softened. Many who were trusting in themselves are now trusting in Christ, having finally understood the message of the gospel. We have heard many testimonies, stories of deliverance, and healings from friends of our ministry and members in our online community. God has richly poured out His blessings on all of us. Most of all—He has not withheld revelation. My prayer for all of you who are following along is that you realize your incredible place in God's story here at the very end of the age. Just as there were magi that followed the star to the King at the opening of the age, so too there are magi at the end of the age who are observing, discerning, and following the signs to the King once again. But this time, the King is not lying in a creaky manger inside a dank cave, but is clothed in glory, seated at the right-hand of God. And He knows we're on His trail. We're getting closer by the day. The numerous signs and once-in-history milestones, including the greatest heavenly sign described in the Bible, which have all occurred in just the past couple of years, were certainly not for nothing. When exactly do we make our exit, caught up to God as a newly born male child to experience with fresh eyes the reality of Heaven? No one knows with certainty the day or hour, but we can see the day approaching. As long as we are eagerly awaiting for Christ's return, we will not be caught by surprise. This Sunday begins Hanukkah, the eight-day long celebration that the Bible calls the Feast of Dedication. It's the last festival of the year and was originally celebrated as a postponed Feast of Tabernacles since Jews were in hiding during the guerilla war against Antiochus IV Epiphanes during the regularly scheduled Sukkot. Once they regained their independence they celebrated Sukkot in Kislev. Hanukkah has never really been on my radar, but the possible timing of the unveiling of the Trump-Kushner peace plan during this time has peaked my interest. As a reader recently pointed out, the peace plan's unveiling has been a very on again/off again situation. Last week reports were circulated that the plan had been postponed until February, but just this morning U.S. Ambassador to Israel David Friedman denied the postponement (although it still remains unclear when exactly the plan will be released). Notice that the Trump-Kushner peace plan includes not only Israel and the Palestinians, but also "other regional and international stakeholders." He will strengthen a covenant with many for one 'seven.' In the middle of the 'seven' he will put an end to sacrifice and offering. And at the temple he will set up an abomination that causes desolation, until the end that is decreed is poured out on him. I have no idea if the plan will be revealed in the next few weeks and I have no idea if the week of Hanukkah could be our exit, but with all that's happened (and happening) I'm sitting on the edge of my seat. My eyes are peeled. I believe a very reasonable case can be made that the rapture will occur within the next 1–3 years based on many indicators including The Parable of the Fig Tree and even the timing of the Jubilee when Christ's earthly ministry began (circa 28 or 29 AD). It also seems very plausible that the seven good years followed by seven bad years (Tribulation) pattern-theory that some, like Daily Crow, have suggested may prove true after all. If you think back to 2014 when the first of four consecutive blood moons occurred, we all marveled that from the beginning of that day to the very end of the Revelation 12 Sign, was 1260 days. And since the sign of the woman was placed inside a primarily mid-trib chapter in Revelation, it seemed likely that 2017 would be the middle of the Tribulation. But these signs were pointing forward, not backward, and not to the present. Like John the Baptist over 2,000 years ago, they were preparing the way, not recalling the past. In a year that many had thought would be halfway into the Trib, Donald Trump became president and major world economies experienced a surge. The Church was given respite in many ways, as well. If this pattern holds, then it may be that the Tribulation occurs at the very end of the possible range of a biblically-defined generation as it pertains to Israel's reestablishment (73–80 years). Wouldn't that be like God to wait until the last moment? He's patient that none should perish. He's never late, but rarely early. His timing is perfect. But it is exceedingly important for me to point out that though the Tribulation may run from 2021 to 2028, the Church is hidden away before that period. We don't know exactly how long before. From all of my research, I see a gap between the rapture and the beginning of the Tribulation. Several major prophetic events occur within that gap. We don't know how big that gap is. Months? Years? Either way, that's why I still see strong evidence that this present biblical year (Spring 2018 through Spring 2019) is a time of major high watch. Until April 5, 2019 we're still within the biblical year that witnessed the restoration of Israel's Jewish identity and also Part II of the Revelation 12 Sign. 2 Thessalonians 2 very clearly tells us that the man of lawlessness will not be revealed until after the restrainer (the Holy Spirit-indwelt Church) is removed. There is simply no getting around that. Until that time we can [carefully] speculate, but it remains speculation. That being said, Macron fits disturbingly well. 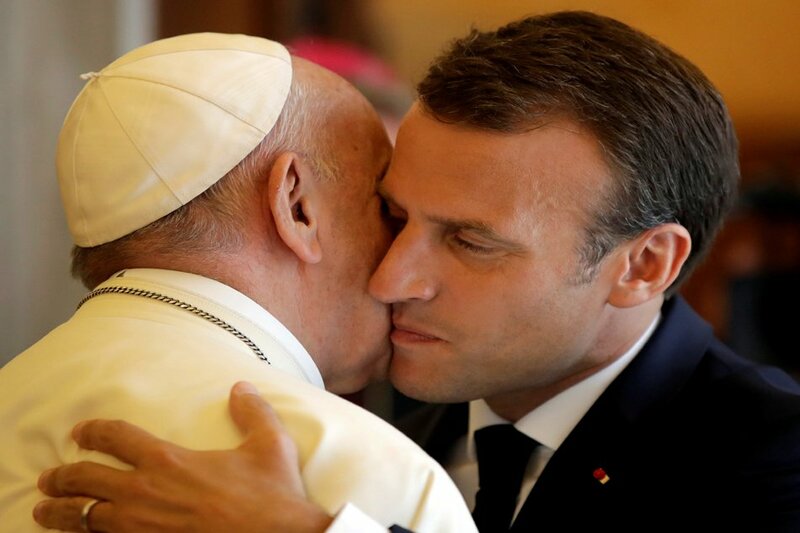 Perhaps he is just a type or foreshadow of the real one to come, but either way, it behooves me to tell you that this person who "desires to govern like Jupiter" has carefully positioned himself as the world's chief globalist and the political savior of Europe. Earlier this year he called for a European army and a European military confederation outside of the preexisting structures of the E.U. His new confederation called the European Intervention Initiative (E.I.I.) just came online. And it has 10 members. Exactly. The ten horns you saw are ten kings who have not yet received a kingdom, but who for one hour will receive authority as kings along with the beast. They have one purpose and will give their power and authority to the beast. Emmanuel - "God with us"
The author of the Book of Revelation in which the antichrist is revealed. The same author who coined the term "antichrist". The angelic prince of Israel who casts satan out of Heaven. It also forced all people, great and small, rich and poor, free and slave, to receive a mark on their right hands or on their foreheads, so that they could not buy or sell unless they had the mark, which is the name of the beast or the number of its name. Now here is something chillingly unique about Emmanuel Macron: Revelation 13 tells us "the mark... is the name of the beast." To buy or sell everyone must have either the name of the beast or the number of that name. Coincidence or incredible play on words? 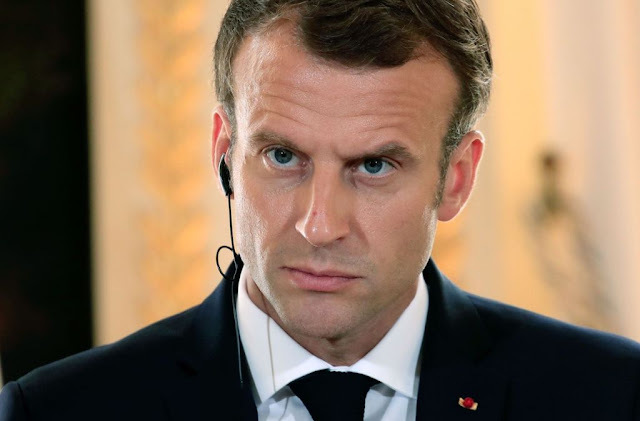 Again, we won't know for sure while on earth, and, at the moment, Macron is suddenly embroiled in a political fight for survival as hundreds of thousands of French have taken to the streets in protest against him. That being said, he has major globalist world leaders like Angela Merkel practically begging him to take her country's power. France on its own isn't much of anything militarily, but France + Germany + the U.K. + Brussels + various other European states would be a nuclear and military power on par with the United States and Russia. Many modern translations mistranslate the word ὀρθοτομοῦντα as "handling", but the word is derived from temnō ("to cut"). There is little doubt that Paul was communicating to Timothy his intention that he handle God's word correctly, but the emphasis here is on properly dividing the Bible. Older translations (KJV, YLT) and some more literal translations get this right, while the NIV, ESV, and others are more assumptive in the translation. Either way, the basic idea is completely sound. Many, many Christians read the Bible as if all of it applies to them (as of first instance). They interpret Scripture as a sort of hodge-podge word stew and in so doing come away with some very twisted teachings that are in fact leading millions astray (e.g. the Hebrew Roots movement, works salvation, NAR, second baptism, partial-rapture, etc). But God's word is not a soupy, homogeneous mixture. It is an ornate, diverse, discernible collection of truth. When we say "rightly dividing", we're not saying ignore, cut away, or destroy. To the contrary, we are saying read the Bible literally. Take it at face value. Interpret it as it interprets itself. Stop putting yourself at the center of the story. The story is about Christ, from beginning to end. He has dealt with billions of people in many different ways over the course of these past 6,000 years. And in each eon/age (which we call dispensations), His dealings are different, although He remains perfect, sinless, and completely faithful. You can't say you believe in the gospel, yet also say "but you better be living a holy life if you want to be saved." That's hypocrisy. That's double-minded. You either believe in the gospel or you don't. You either believe you are saved (at least in this age) by God's grace through the propitiatory sacrifice of Christ or you believe you are saved by your own "righteousness". You can't have it both ways. Should you live a holy life? Absolutely. But if you are living that holy life to be saved then you're clearly not saved because you don't understand the gospel. True holy living comes from gratitude for unmerited kindness received, not from obligatory work demanded. And that is one example where we must rightly divide, because while there are 100+ Scriptures that indicate salvation is through faith/belief, there are about two dozen that indicate works are involved. You can't ignore those works verses. There is a seeming contradiction and that's what is so important to understand. Romans, Galatians, and Ephesians appear to contradict James 2. You can't solve the contradiction by simply mixing it all together or simply trying to compromise (a little works and a little faith). You solve it by rightly dividing. Who was James' letter written to? Hint, hint: Jas. 1:1.
Who were Paul's letters written to? Hint, hint: Rom. 1:7; Gal. 1:2; Eph. 1:1. Were Paul and James of the same mind about faith and works? NO. At least not initially (see Acts 15 and Gal. 2:11–21). Did they eventually agree? YES. See Acts 15 where Paul and Barnabas confront Peter and James over this very issue. Which side won the debate? Paul and Barnabas (the sola fide camp). Peter agreed and repented of his works-righteousness. There are many other such issues that can be resolved by rightly dividing and accepting the plain words (prima facie) of Scripture. All that said, I do want to raise one concern with some who are promoting the Scriptural idea of rightly dividing. Some are coupling this truth with KJV-onlyism and I have very serious qualms with that. The Bible was not written in 17th century England. It was written in the Mediterranean region in Hebrew, Aramaic, and Greek over a span of about 1,600 years. Those original writings are what were God-breathed. The original writings were infallible and inerrant, but translations are not. The King James Bible is a very good translation, no doubt, and better than many, but it still has issues. For one, it is not a literal translation. In just the first two chapters of Genesis I could show you numerous differences with the original Hebrew. But again, it's a good translation. Substantially better than the NIV and several others, I just ask that you recognize God's word is bigger than the English language and far predates it. Be a God's word-only Christian, not a KJV-only (or Cepher-only or Hebrew-only) Christian. Lastly, I want to again address the partial-rapture theory. I won't hold back on this: it's bunk, bogus, and in some instances heretical. It actually stifles holiness because the belief forces many to go back to the Law thus causing some to fall from grace. The incredibly tragic irony is that if you believe your salvation and rapture are dependent on your performance/works/perfection/fill in the blank then it is likely you have never come to a saving knowledge of the truth and will find yourself outside of the Ark when the floods come. Don't be deluded about how good you think you are. You're not. Only God is good. Jesus is the only One who ever did (or can) fulfill the whole Law and He did it for you. Believe the good news, receive the Holy Spirit, and be saved. All believers are going in the rapture because it is the actual physical salvation event of the corporate Church. And the Church is a distinct Jew + Gentile entity unique to this age that is removed from the earth prior to Daniel's 70th Week in order to provoke unbelieving Jews to jealousy. If you truly believe the gospel and trust in Christ then you have been invisibly baptized in the Holy Spirit and will be going in the rapture. The Body of Christ will not be divided. However, not all Christians are going in the rapture. 2.4 billion people on earth use that label. How many of those actually understand that Christ died for their sins and there isn't anything they can do to save themselves except believe in the One God has sent (Jn. 3:14–18; 6:28–29)? If you call yourself a Christian yet don't understand or believe in the gospel, Paul would say that, for you, it's as if Christ died in vain (Gal. 2:21). And when Christ comes to receive His own (those sealed for the day of redemption by the Holy Spirit) you will find yourself on the outside, pounding on the door, "Lord, let me in!" He never knew you. God's grace is incredible, free, and complete. It's for you. Believe the good news! The truth of God is revealed in Jesus Christ. The truth that Jesus revealed is that He is the propitiation for our sins. He is the door. He is the Way. Because He died for our sins and rose again we can enter Heaven sin and guilt-free through Him. The legalists and lawless reject the gospel at the same point: the atonement. 1. The Parable of the Ten Virgins. There is a growing consensus that this passage specifically pertains to Jews within Daniel's 70th Week. Scholars like Jack Kelley are masterful defenders of this interpretation and I won't argue with them. That said, even if there is some applicability to the Church in this passage it is not supporting a partial rapture. There are several key symbols of the Holy Spirit in Scripture. Two of those are anointing oil and fire. In the Old Testament, there are examples where oil was poured on someone and the Holy Spirit came upon them. In the New Testament, the Holy Spirit came upon the Church as fire (see Acts 2). In this parable, the wise virgins who make it in have 1. Jars for oil, 2. Oil, and 3. Lamps burning (fire). The foolish virgins have 1. No jars, 2. No oil, and obviously 3. No fire. The wise were saved the foolish were not. And interestingly, parts of this parable are uncannily similar to Matthew 7 in which those left outside offer their works as the reason Christ should let them in. The long and short of it is this: If you believe the gospel and trust in Christ then you have the Holy Spirit. If you have the Holy Spirit then you make it in. So get the Holy Spirit! He is a free gift (Acts 8:9–25)! 2. The harvest cycle. Some have argued that since the resurrections at the end of the age mimic the harvest cycle then many believers must be left behind or else there couldn't be gleanings. Not only is this unnecessary, but it actually misinterprets the harvest cycle. The harvest begins with barley. This is the first fruits harvest. Christ is the first fruits of the dead. We are one with Him. We are his body. And guess how barley is often harvested? By throwing it into the air. The wheat harvest comes later. Harvests are violently threshed with the tribulum. Likewise, unbelievers who come to believe during Daniel's 70th Week will be threshed in the midst of the Tribulation. They will be killed for their faith, but their souls will be gathered in Heaven and at the end of the Tribulation they will be resurrected into new bodies. Now the interesting thing about gleanings is that the Old Testament prophets indicate some natural-bodied Gentiles will survive the Tribulation to populate the earth. These constitute the sheep that survive The Sheep and Goats Judgment. They are "leftovers" so to speak. They will pledge their allegiance to Christ, but their resurrection isn't mentioned (we can assume they will be given immortal bodies at their death sometime during the Millennial Kingdom or at the Millennium's end). The final harvest is the grapes. Grapes are smashed into a mess of red juice. All of those who remain unbelievers and take the mark during the Trib are the grapes. Don't be a grape. The one who is victorious [overcomes] will, like them, be dressed in white. I will never blot out the name of that person from the book of life, but will acknowledge that name before my Father and his angels. Now the author of Revelation himself defines overcoming as having faith in Christ, not works! That's what it means to overcome. And in this verse Christ makes an irrevocable promise to the overcomer that their name will never be removed from the Book of Life. If you don't do enough, perform enough, act good enough, then God's going to cut you off. Far be it from the LORD of all the earth, the God of justice, to cut off His own children! May it never be! His children are the safest and most secure creatures in the entire universe. He will not lose even one (Jn. 6:39; 10:28; 18:9; Rom. 8:31–39)! Gary!!! THANK YOU for this powerful article! Thank you for addressing rightly dividing and partial rapture theory. Thank you for sharing your insight about Macron. What incredible timing on this and I praise God! Thank you! These topics have really been weighing on my heart lately. Completely off topic, This one is for Hillary. Hi Hillary, I know that your profile icon is a starling bird, but every time I see it, to me initially I think it looks like a crocodile smiling (near wing), with his tail in the background thrashing upwards, and the tail of the starling looks like the croc's front leg. I Just thought it was funny.. I wonder if I am the only one who sees that!! Excellent treatment of a variety of topics. You mention much of this has been heavy on your heart. I too have had many of these points on my heart, especially as some in this space have misunderstood some of my comments. The ministry of the Holy Spirit during the Tribulation is of great interest to me and a topic I've started digging on. Some of my earlier comments have reflected that and I believe, been misunderstood. To that end I felt it proper to share that in no way do I believe that we are saved by works. At no time have I ever said that our salvation is based upon our works. At no time have I ever believed it. As a matter of fact the concept of works and the futility of them in light of salvation are what brought me to faith in Christ in the first place. No matter how good you may think you are, no matter how good you may think your deeds to be, one will never meet or exceed the holy righteousness of Jesus Christ. With that said, I do believe in works. Christ Himself gives us these things in red letters and I understand works to be part and parcel to the Greatest Commandment first as well as other of His commands. But these works are a love response, an outpouring and testimony of our intensely personal and intimate relationship with Christ. Such works are a reflection of Jesus and Christ in us and only made effective by the power of the Holy Spirit. Are we required to do good works in order to be saved? No. Are we, for our part, required to do anything in order to be saved? Yes. Works are a product of faith not a pathway to salvation. Works bear testimony to our character and our heart; they in no way secure a place in heaven. Can we be saved having performed no good works in the name of Christ? Yes. Much was made about a comment I left in another topic about works. The party which took exception to that comment may not have fully read what I said as there seemed to be a misunderstanding that I was promoting works based salvation. I was not and would never do that. I do, however, believe we are given to do good works according to our faith but as a response to our love of Christ according to the will of G-d. But before this, we are given one task...that if one believes in their heart and confesses with their mouth that Jesus is Lord and that He was raised from the dead they will be saved. What more must one do to be saved? "This is the work of God, that you believe in him who he has sent." This is the work we are given to do. All of the Law boils down to one word. LOVE. A four letter word that is best experienced as a verb embodied by a noun. If there was a question about my heart in this matter in anyone's mind; I wanted to clarify these facts. I share this as an encouragement to those who frequent this space with whom I have shared so much over the past couple of years. As busy as this season has been, especially as we are replanting a church and moving to a new location, this has been heavy on my heart. Thank you Lord for giving me the words to speak and the time to share. About rightly dividing, I would say those books you mentioned above are not in contradiction, but rather describe the works as the fruit of true faith. If someone truly believes in Christ, there will be fruitfulness from the Holy Spirit in their lives. That's why Scripture says that you shall know them by their fruits, such as those in Galations 5:22-23 (fruits of the Spirit). Otherwise, great article. Thank you for your faithfulness. It so encouraging and inspiring to read your posts. Blessing in Christ, and Maranatha! Hi Charissa! Not Gary here but wanted to share something that helped me to understand this more clearly. "You shall know them by their fruits" refers to the words and doctrine that comes forth from the abundance of the heart, not one's works or actions. The context is knowing false teachers / false doctrines apart from good teaching. Luke 6:43-46 and Matt. 12:33-37 explain this. While believers who are growing in their faith and godliness will produce good works when they walk in the Spirit, this is not how we are to discern who is actually saved...it's more for our own self-examination before God. We cannot be fruit inspectors of other people...for example, some of the kindest and most gentle, "Christ like" people I've seen are unfortunately Buddhists. Thank you for this! Makes sense! Yes, I concur with Hillary here. The context in Mt. 7 was specifically false teachers and false prophets who would lead many astray. Mt. 7 also includes Jesus stern warning about those who will be cast out because they offer their works instead of His righteousness. Also, though we would hope and expect to see fruits of the Spirit flowing from the life of a believer, the timing is different for everyone. Cross-reference with 2 Cor. 3. The concept of rightly dividing the word of Truth is multifaceted. I believe that it has to do with understanding who an author is writing to, for instance the authors of Hebrews, James, 1st and 2nd Peter, 1st 2nd 3rd John are primarily writing to the Jews who will be going through the tribulation, according to some. For the most part they address their audience as a variation of the 12 tribes were scattered abroad. Obviously Paul Epistles are written to the body of Christ. The four Gospels were written in a time that was pre-dispensation of Grace, but when it comes to the Gospels, the authors are writing to both the Jews and we the body of Christ in a way, we need to rightly divide and discern when a passage is primarily directed toward a certain people group or a certain time period, and when a certain passage has application for all. It's dangerous to assume that a certain book of the Bible, for instance the Gospel of Matthew, is only directed towards the Jews. Take Matthew 24 as an example, much of that chapter is referring to the time during the tribulation and referring to the second coming instead of the rapture but it does not mean that we cannot apply some of the principles of that chapter to the events that happened before the Rapture of the church. It's dangerous to make a blanket statement about a certain book of the Bible concerning rightly dividing and not discern what God was trying to speak to the body of Christ or what he was trying to speak to the Jewish people. Even though this is speculation, there is one interesting thing that I heard concerning the parable of the ten virgins. 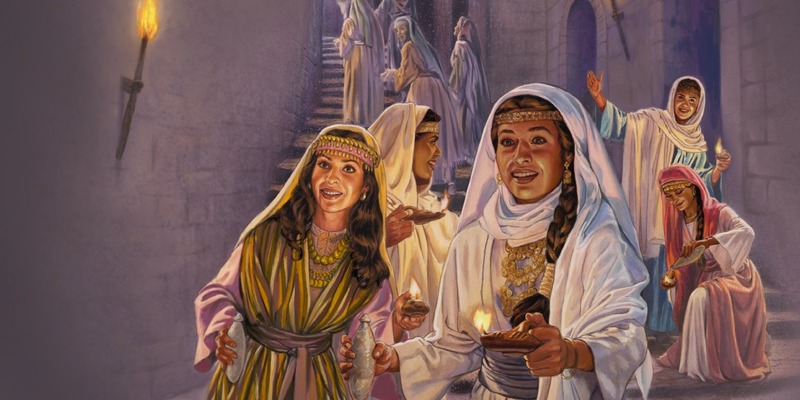 When the five foolish virgins were advised by the five wise virgins to go to those who sell oil and buy from them, and let's say it was during the time the tribulation, the only way that the five foolish virgins would be able to go buy their oil is if they had received the mark of the beast. I just thought that was kind of an interesting concept. Charissa is absolutely right, nothing to add but my post on rev12daily on 11/23 regarding just this topic of "rightly dividing" like it is now promotes by Scott Clarke and others. BEWARE!! I think there's a typo at the end of the 4th paragraph. (a little words and a little faith) I think you meant "works instead of "words." Sorry Gary, 5th paragraph under Rightly dividing. Wow, I felt while reading this powerful post that it is last minute instruction before we go up. Keep the faith, Christ is all, look up He is coming very soon. Maranatha. This addressed a lot of things that I’ve been praying about, here lately. You bring forth clarity and lay out God’s word, so well, and I’m very grateful. I just had a peace come all over me after reading this. Thank you, so much. I feel it stirring inside of me, that we are so very close to leaving this place. Maranatha! That was BEAUTIFUL Sherry! I need to save your comment, so I can share it later. Excellent, Sherry. Concerning obvious and not-so-obvious fruit in one's life, there is an interesting passage in 1 Timothy 5:24-25. Also, I encourage others who are quick to condemn and write people off as "unsaved" to look at 1 Corinthians 4:3-5. "What a gift, what a blessing, who would not be be motivated to give all for the One who has given all - not out of obligation, but out of joy, love, devotion and sincere desire born of a grateful heart?" One of my earliest questions when I came to faith was, "Why?" Why come to faith? To save self? Turn or burn as it were? The concept of that was empty, selfish and hollow. I remember asking that question to church leaders and failed to get answers until the Spirit answered it for me. The answer was essentially what you have shared here Sherry. It is a teaching that we must all remember. You answer so simply the *why* in the, why we believe. I've thought to put this to words for sometime but had yet to do it. I too must save this! Superlative Beauty finds no higher form, here in this life, than such a Wonderful, erudite, passionate and stalwart defense and exposition of The Word, amen. I think I'll print a copy to keep handy because when there's a power outage I'll throw a copy in the circuit box and light up THE BLOCK! Maranatha! Nice, lol! Thank you thank you! Quite possibly my all-time favorite statement from you, Gary. Then again, this whole thing is awesome and covers the bases. If I remember correctly, the negative-to-be-interpreted-as-a-positive phrasing is a figure of speech called a litote. But as you know, some just don't handle figures of speech very well...hence the need to be a workman approved! Catch on to the linguistic and rhetorical devices, people! So, disturbing factoid: Rev. 14:20 says the blood will flow for ~180 miles and at it's deepest point will be as high as a horse's bridle. Get this: If just 200m people were gathered at Armageddon, their blood would fill up 454 olympic-sized swimming pools since the average person has about 1.5 gallons of blood. That's equivalent to a 14 mile long olympic-sized swimming pool. I always wondered if that "deep as a horse's bridle" thing meant the depth of the blood soaking into the ground 5-6 feet as opposed to lying on the surface of the ground like a river, which I've heard some say. Either way that's a lot. Sad to consider either way. Good article Gary. Wonderful reply Sherry, and I agree with Jeff regarding 1 Cor 4:3-5. This hasn't made a lot of noise in the media here but I'm sure it's making noise in Russia. The "hook in the jaw"! Yes, hook in the jaw. Exactly! It bypasses Iran, Syria, and Turkey, or so it seems. "Israel has reportedly closed a deal with Greece, Italy and Cyprus to build a 2,000-kilometer underwater gas pipeline from its Leviathan and Aphrodite offshore gas fields, Sputnik reported citing local Israeli media. The pipeline, almost twice as long as Russia's Turk Stream pipeline, is estimated to cost $8 billion, and is said to be world's deepest underwater gas pipeline. Israel believes the construction of the pipeline will "forge strategic ties" within the region, according to a report by Hadashot. Israel also believes gas exports will decrease the influence of Arab nations in Europe. "For decades, we have complained about the Arab influence in Europe due to oil and gas. The export of gas to Europe will moderate this influence to a certain extent and be a counterweight to Arab power," Energy Minister Yuval Steinitz said in an interview. Egypt, the only Muslim nation besides Jordan which has a peace treaty with Israel, also seeks to export its newly discovered gas reserves, and has expressed interest in joining the project. Prior to the discovery of the Mediterranean gas fields, Israel bought gas from Egypt, but the land portions of the pipeline have been frequently targeted by Egyptian jihadists in 2011-2012. Earlier last week, Steinitz disclosed that the proposed pipeline will have a capacity of 12 billion cubic meters per year — which is approximately half of what Turk Stream can provide. The Leviathan gas field, discovered in December 2010, is one of the largest young gas reserves in the world. According to the US Geological Survey, Leviathan's volume of undiscovered reserves amounts to some 620 billion cubic meters of natural gas." I really needed that right now. Thanks Gary for all your insight. And Michael means "who is like God". "I will be like the Most High..." Isa 14:14. It's not a statement, it's a challenge. Excellent Gary! Thanks for the encouragement. 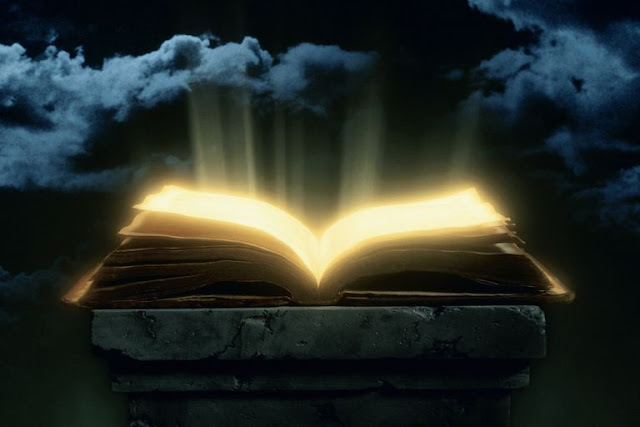 A few quick comments: Exodus 32:33 notes - "The Lord replied to Moses, “Whoever has sinned against me I will blot out of my book", and Revelation 22:19 indicates God removing a share from the Tree of Life to those who add/subtract from the book of Revelation. There has been comments from others that there is the possibility that all of Gods creation has been written in the Lambs Book of Life from the start of creation itself, however as people have rejected God/Christ, there names are blotted out. It possibly demonstrates the intent of God that all shall be saved (his grace) but that he accepts and honours mans free will to reject him (his justice). Anyway, interesting stuff. Thanks for the encouraging articles! Just one question you said: "(e.g. the Hebrew Roots movement, works salvation, NAR, second baptism, partial-rapture, etc)"
What does "NAR" stand for? Great job, Gary! I had never heard of the “rightly dividing” issue until this week, and while some of it made sense—factoring in the author’s intended audience, for example—my spirit was greatly disturbed by the KJV-only emphasis. I am SO thankful you addressed that illogical and, I believe, mistaken notion. Same with partial rapture theory. Every time I see comments or hear Youtube teachings that espouse that, I recoil inside. How the body of Christ needs communicators like you who are not afraid to address bogus ideas that pull believers off the path and into a ditch. Thanks for all you do! Gary, thanks for another great word of encouragement! I knew something had to be brewing and was coming soon from you. There are so many "snares" out there that the enemy has set to catch unaware and careless believers - it's very easy to fall prey to one. Sometimes we don't even realize we're being led astray - but Father has given us His Spirit and His word to guide us safely home. Won't it be great to finally be in the Father's house, safe and sound from the treachery of the world! Thanks again Gary, so grateful for this site and fellowship. You're most welcome. Glad to have you here, Keith! Very interesting! That could possibly point to him being the immediate forerunner... hmm..
Could it be that the antichrist raises taxes so much that a worker will spend his full wage for a loaf of bread (Revelation 6:5, the Rider on the blacj horse). Dear @Moin, we already sense crop failures and bad harvests from droughts and flash flood events such as geoengineering / weather warfare worldwide. In Germany, this years potatoe prices have already doubled. Soon and very soon, food shortage will be more than normal all over the globe. In recent days, I've had several come at me with a Twisted idea about "Rightly Dividing" (which I call over-dividing). "...Now the Scripture foresaw that God would justify the Gentiles by faith and foretold the good news [gospel] to Abraham, saying, 'All the nations will be blessed in you." Did they forget he was a Gentile called out of the land of Ur and made righteous by faith? :) Long before there was a Hebrew or Jew or an Israel, long before Moses. I don't say this in sarcasm or ridicule. But this is basically the same thing going on millennia later. Worship of the Letter of the Law, rather than worshiping in truth and spirit. There are two nations who are set apart unto God. Israel of course, and the Body of Christ (1 Peter 2:9). We see it in the parable of the Prodigal Son, how the Father deals with both. When I get approached by someone who lumps the Gospels into being only for the Jews (before Acts), I immediately bring up the Gospel of Luke. Written by a Gentile at the request of a Gentile ruler. This gentile was snot even an Apostle. And this was years before Luke spent time with Paul establishing churches etc. Not to mention all the dealings of Christ Jesus with many "Gentiles" during his mission on earth before the Crucifixion. Good thoughts all! The over-dividing seems to often go hand-in-hand with KJV-only. While Jesus' earthly ministry was only to the House of Israel, He still reached and ministered to several Gentiles. The gospels are generally applicable to Israel, but there is lots of wisdom for the Church, and of course the gospel itself happens WITHIN the gospels. I also can't fathom how over-dividers ignore the gospel of John. It's the gospel that doesn't mention repentance even one time. It is filled with verses about SOLA FIDE and OSAS. Now, brothers, I want to remind you of the gospel I preached to you, which you received, and in which you stand firm. For what I received I passed on to you as of first importance: that Christ died for our sins according to the Scriptures, that He was buried, that He was raised on the third day according to the Scriptures, and that He appeared to Cephasa and then to the Twelve. After that, He appeared to more than five hundred brothers at once, most of whom are still alive, though some have fallen asleep. And last of all He appeared to me also, as to one of untimely birth. For I am the least of the apostles and am unworthy to be called an apostle, because I persecuted the church of God. But by the grace of God I am what I am, and His grace to me was not in vain. No, I worked harder than all of them—yet not I, but the grace of God that was with me. Nice. 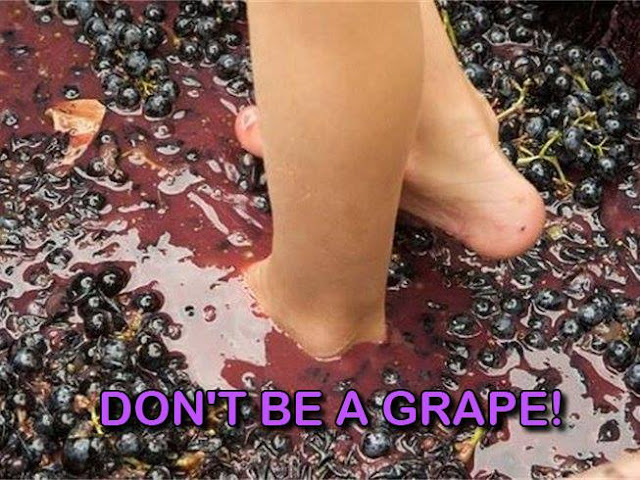 Hopefully the "don't be a grape" campaign will go viral now. God has no other grace he gives you besides “hyper” grace. The father went to the extreme to give his son to die and rise so you and I would have and enjoy a “hyper” grace. God gave it freely and we simply receive...no strings attached! Grace for you and me is always super abounding so grace can never be exaggerated. Don’t fear grace being made “hyper,” it simply is not possible! If you fear hyper grace, you fear the only grace God has for you - way over the top totally forgiving and life-giving grace. But don’t be fooled, if you reject this grace you reject the God of grace himself. Don’t allow any person to talk you out of God’s superabounding grace made free to you through Jesus Christ. The EU wants its own army. At https://www.theguardian.com/world/2018/nov/13/merkel-joins-macron-in-calling-for-a-real-true-european-army "Merkel joins Macron in calling for a ‘real, true European army’" and https://global.handelsblatt.com/politics/french-finance-minister-need-european-empire-980351 "French finance minister: We need a European empire". I think that the coalition 10 kings who will rule with the antichrist, is a military coalition. What we are witnessing now, is that the Revived Roman Empire is developing on a rapid pace. Keep a close watch on the elections for the European Parliament in May and June next year. These elections can be a very good opportunity for the antichrist coming to power from the European Union. Elections are generally opportunities for strong leaders to grab power. Especially when a major war is raging in the Middle-East (Psalm 83/Gog Magog), or when Brexit is wreaking havoc across Europe, or when Italy is causing a financial crisis, or when these things are happening simultaneously. A person to be carefully watched, is Yanis Varoufakis with his DiEM25, Democracy in Europe Movement 25. He wants to be a candidate in Germany for the elections of the European Parliament next year. See also https://diem25.org/yanis-varoufakis-and-srecko-horvat-will-stand-in-next-years-european-elections-in-germany/ "Yanis Varoufakis and Srećko Horvat will stand in next year’s European elections — in Germany" and https://diem25.org/what-is-diem25/ "What is DiEM25?". I think that Varoufakis is also an antichrist-candidate, he has an evil look in his eyes. And has the name Yanis Varoufakis a number value of 666? Great article, even though I disagree on the version issue. The KJV is the only version translated from the TR and all others are corrupt to some extent due their Westcott/Hort source. But despite using the ESV Gary and Stephanie are as doctrinally sound as you can get. It is great to hear the Partial Rapture theory and works for salvation being thoroughly debunked. There are many wolves our there on Youtube at the moment pushing this heresy, the original Lordship Salvation preachers such as Jerry Tomey and "dockkids", but unfortunately now also Jaco Prinsloo and "Pastor" Sandy Armstrong. It's either salvation by grace through faith or it is a works gospel. What part of "free gift" don't they understand? And the PR theory is pure works gospel. Trust in the blood of Jesus Christ alone. I love the KJV, don't get me wrong. It's a very good translation. But it's not perfect - and that's the main beef I have with many of those arguing for KJV-only. There are many who actually believe it is the only legitimate translation in any language and is actually inerrant. Both are patently false and cause people to miss what is actually inerrant: the ORIGINAL manuscripts that God inspired His people to write. Are we all reading the same Bible? I believe Gary is correct to say: "overcoming as having faith in Christ, not works!" The bible reference you gave from Rev 20:12 is regarding the judgement of those who died during the Great Tribulation period. Is the judgement of the DEAD. The Christina Church / body of Christ, Bride of Christ are not the dead. we will be the "saints that have come out of Great Tribulation". By come out of, it is meant "did not part take in". "And I saw the dead, small and great, stand before God; and the books were opened: and another book was opened, which is the book of life: and the dead were judged out of those things which were written in the books, according to their works." the part I quoted from Gary referred to Revelation specifically. Your quote from John is 100% correct, as John also understood what real faith is, just as James the Just did - "faith without works is dead". “Truly, truly, I say to you, whoever believes in me will also do the works that I do; and greater works than these will he do, because I am going to the Father." Jesus didn't just believe in God, He brought forth the fruit of the Spirit, works of Love towards His fellow man. He toiled and suffered, He walked for miles, slept under the stars with rocks as his pillows, but He healed, He blessed, He gave a kind word, He laid down His life, all of this were works of His Faith in God. And from the verse above, He implores us to do the same works as He did. “Behold, I am coming quickly, and My reward is with Me, to give to each one according to what he has done." It doesn't say, according to his belief, or his faith, or His grace, or His cross, pre or post tribulation, Jew or Gentile, it DOES say...the reward will be according to what each has done. "whoever believes in me will also do the works that I do"
If you don't rightly divide the Word it will contradict Itself. Since It can't be wrong when It contradicts Itself it is because of the way we are trying to apply It. 10 According to the grace of God given to me, like a skilled[b] master builder I laid a foundation, and someone else is building upon it. Let each one take care how he builds upon it. 11 For no one can lay a foundation other than that which is laid, which is Jesus Christ. 12 Now if anyone builds on the foundation with gold, silver, precious stones, wood, hay, straw— 13 each one's work will become manifest, for the Day will disclose it, because it will be revealed by fire, and the fire will test what sort of work each one has done. 14 If the work that anyone has built on the foundation survives, he will receive a reward. 15 If anyone's work is burned up, he will suffer loss, though he himself will be saved, but only as through fire. We will not lose our salvation because of lack of works, but if our works (or lack of works) produce only items of wood, hay or straw they will obviously not survive the test of fire. We will go into Heaven empty handed as it were. Essentially this is what would happen to a deathbed convert, if that ever truly happens. They would receive no rewards because they did no work for the Lord. A very good reminder Michael of Salvation security. Lord Thank you for being such a loving father, and providing your children with such unmerited reward. "If you don't rightly divide the Word it will contradict Itself"
The WORD never contradicts itself. "I tell you the truth, anyone who believes in me will do the same works I have done, and even greater works, because I am going to be with the Father." 888 I'm starting to feel as if you may be intentionally missing the point. You made no mention of the Scriptural reference because it doesn't fit your belief system but you want to argue over the statement that follows. No, the Word doesn't actually contradict itself... BUT you have to rightly divide it in order to know that. Scripture clearly mentions Grace and works differently in different places and right division is WHY there is no misunderstanding, without it there is confusion. God is not the author of confusion which is why Scripture Itself says you must rightly divide the Word of Truth. Picking a side isn't the answer because there are no sides, just misunderstanding and confusion from failing to rightly divide the Truth. Rather than continue debating salvation by works I think another Scripture from Proverbs 6 may be more appropriate. You can't simply discard the scriptures that you don't like, so if they don't fit together then it is your understanding that is incorrect. you seem to struggle to understand what THE WORD is, the Word...is Jesus Christ, the Word that was from the beginning became flesh. Please read the Scripture above again to fully explain this to you, it is from John1:1-16. The Word is the same yesterday, today and tomorrow. The Word does not need to be rightly divided, as it doesn't change, it is always consistent and always speaks the Truth. Why? Because the Word was/is with God, and the Word was/is God. So the Word is the ultimate authority, not to be questioned or compared to any other word. In fact, it is THE measure by which all other words should be measured. If any teaching does not line up with the Word, it is FALSE. So, if the Word says "I tell you the truth, anyone who believes in me will do the same works I have done, and even greater works, because I am going to be with the Father" and also "Behold, I am coming quickly, and My reward is with Me, to give to each one according to what he has done." I you don't believe this, then you don't believe the Word, which is with God, and which is God. Simpler than this I cannot put it. 2 Timothy 2:15 Study to show yourself approved unto God, a workman that needs not to be ashamed, rightly dividing the word of truth. Strong's Greek 3718: From a compound of orthos and the base of tomoteros, to make a straight cut, i.e. to dissect correctly. It is disingenuous to suggest that correctly dissecting the Word to understand who is speaking, to whom they are speaking, and the context in which they are speaking, somehow changes or challenges the authority of the Word of God. 2 Peter 1:20 Knowing this first, that no prophecy of the scripture is of any private interpretation. Simply put we don't get to choose what it means, we are told to study and understand what it means. You mentioned John 1-16 which is probably one of my favorite passages in scripture and you have suggested that I don't know who the Word is so I think it appropriate to challenge that assumption. The Word walked with Adam in the garden and when Adam and Eve sinned, he killed animals to cover them (Genesis 3:21). The Word appeared to Abraham Genesis 15:6 And he believed in the LORD; and he counted it to him for righteousness. The Word appeared to Abraham and provided a ram to be sacrificed in Isaac's place (Genesis 22:13). The Word appeared to Moses and established a sin offering requiring a sacrifice for the sins of the people (Leviticus 4). John 1:14 And the Word was made flesh, and dwelt among us, (and we beheld his glory, the glory as of the only begotten of the Father,) full of grace and truth. John 1:29 The next day John seeth Jesus coming unto him, and saith, Behold the Lamb of God, which taketh away the sin of the world. The Word was crucified in MY place for My sins. John 20:31 But these are written, that ye might believe that Jesus is the Christ, the Son of God; and that believing ye might have life through his name. Matthew 6: 33 But seek ye first the kingdom of God, and His righteousness; and all these things shall be added unto you. Hebrews 9:22 Indeed, under the law almost everything is purified with blood, and without the shedding of blood there is no forgiveness of sins. The price of admission is believing in the One whom He sent. The cross of Christ is the price that was paid, our place is to recognize who He is and accept the Gift of Righteousness by faith. Works are great and they have their place but they will not get you to heaven and they cannot keep you out. It has never been about us or anything that we do, it is ALL about HIM. There is no room for discussion or negotiation on the topic of faith vs works because scripture doesn't leave any room, Galatians chapter 1 makes that very clear. I hope to see you there. Maranatha. 19 You believe that God is one; you do well. Even the demons believe—and shudder! 26 For as the body apart from the spirit is dead, so also faith apart from works is dead." Jim says: "The Word was crucified in MY place for My sins." The Word says: “If anyone would come after me, let him deny himself, take up his cross daily, and follow me” (Luke 9:23). Gary, haven't finished reading your entire article as yet and already I want to say THANK YOU for an incredible job and info we might have all missed otherwise! I think you are accurate in saying: "I believe a very reasonable case can be made that the rapture will occur within the next 1–3 years based on many indicators including The Parable of the Fig Tree and even the timing of the Jubilee when Christ's earthly ministry began (circa 28 or 29 AD)." that "not all [who CALL themselves] Christians are going in the rapture". Someone might have already commented on this, but the Scriptures show we must MAKE JESUS THE LORD (Romans 10:9-10)--"Confess with your mouth the LORD JESUS"--make Him the Lord over our lives instead of us being our own lords. THAT is what the dividing line is, I believe, in whether one is TRULY a Christ-in or Christian. LOVED your explanation of the End Time HARVEST and how you beautifully put to rest the idea that SALVATION is of works. As you explained, it simply is NOT OF WORKS but by GRACE ALONE. Hi Lyn! I always love and appreciate your tender heart and presence. I wanted to respond to your comment and it may seem like splitting hairs, but please bear with me. Jesus is already Lord and we cannot make Him Lord over anything. Saying something with our mouths does not make us saved. Salvation comes when we have faith, when we believe. There are many Scriptures that show faith alone as the way we receive the free gift of eternal life. Confessing with our mouths is not what saves but it is evidence of the faith we proclaim. What makes someone truly born again is belief. Jesus spoke of this in John 3:14-18, Peter witnessed it in Acts 10:42-44, and Paul spoke of it many times. When we are saved and sealed by the Holy Spirit we can begin the lifelong journey of surrender and obedience to our Lord and Savior. Even unsaved folks will bow their knees and confess that Jesus Christ is Lord, but we have the blessing of knowing it now and living it and being reconciled to God. Shared with hope and humility, with great love. God bless you! "confess with thy mouth the Lord Jesus--that is, probably, "If thou shalt confess Jesus [to be] the Lord," which is the proper manifestation or evidence of faith ( Mat 10:32 1Jo 4:15 )." "Terrify one another with these words..."
Behold! He comes quickly! Hold fast to that which you have, so that no one takes your crown. That is supposed to be a link to a picture of Macron right next to Nikolai from Left Behind movies. Can anyone see the picture or do I need to change the setting? I saw it, I knew it was from the movie! Yes, there is a similarity. Anyway, I know it was just a movie and not necessarily accurate and Macron may not be the man of lawlessness, but I found it curious that the actor in the movie happens to look similar. I removed the picture, because maybe it is inappropriate. "It was no accident that Macron arrived early. HE ENVISIONS HIMSELF AS A NEW LEADER OF THE FREE WORLD AND DESPERATELY WANTS TO SALVAGE THE IDEA OF INTERNATIONAL COOPERATION that the G-20 represents. France fears that Trump, who was scheduled to arrive Thursday night, will block or eclipse any progress at the G-20. So MACRON IS FASHIONING HIMSELF AT THIS SUMMIT AS THE ANTI-TRUMP — a champion of the Paris climate accord, defender of the postwar system of global trade and crusader against multinational tax evaders." Dear sir I followed unsealed since 2016. Its been one of the greatest blessings to me. I just want to say I love you all and thank you. I really needed this article. Especially learning about the number of days from the first blood moon to the sign. I TRULY BELIEVE that 2014 to 2021 is the good and 2021 to 28 is the BAD. KIM at elijah and moses you tube channel had a great revelation about Daniel 9:27 check it out.I believe 2028 is year 2000 since Christs resurrection. Things are becoming very clear. Again thank you all for your website. The best. Thank you so much for this article, so refreshing to read. This deception seems to say that if you are in the church at the rapture you will go, but if you're sitting on a barstool you won't. But, as you clearly pointed out, our salvation is a free gift of God, not something He will take away if we happen to backslide. I love all the articles and encouragement here. I say our motivation to love Him comes when we continue in His word and learn more and more of His endless grace and gift to us. That (not fear of messing up) is what keeps us growing in the grace and knowledge of our Lord Jesus Christ and the confidence when we stand before Him at the Bema. Hope we will soon be meeting in the sky! "I say our motivation to love Him comes when we continue in His word and learn more and more of His endless grace and gift to us. That (not fear of messing up) is what keeps us growing in the grace and knowledge of our Lord Jesus Christ and the confidence when we stand before Him at the Bema." https://community.singularitynet.io/t/how-would-you-feel-if-your-next-president-was-an-ai/1619 HOW WOULD YOU FEEL IF YOUR NEXT PRESIDENT WAS AN A.I.? A.I. will surely be in control. It will be the use of technology that will be used to control and monitor every human movement. It.is.happening.NOW. Gary - You speak of modern magi looking out for signs. T.S.Eliot’s poem "Journey of the Magi declares “A hard time we had of it”. Not even he or you might imagine quite how hard. Here’s an updating item: “The Magi at Era’s End”: A Poem (followed by a feature indicating how its information is true and works vividly to this day)”. https://wp.me/p2v96G-ip You might be surprised. Here indeed are some things that need to be known. At https://www.timesofisrael.com/israels-un-envoy-trump-peace-plan-completed-to-be-unveiled-in-early-2019/ "UN envoy: Trump peace plan ‘completed,’ to be unveiled in early 2019". The nascent Sanhedrin released a declaration to the 70 nations for Hanukkah to be read at a ceremony in Jerusalem on the last day of the holiday. The ceremony will include the consecration of a stone altar prepared for use in the Third Temple. The declaration is intended as an invitation to the nations to participate in the Temple and to receive its blessings." Why so mad, Mr. Happy? If you are living life counting on YOUR own holiness to get you to Heaven, then you are not trusting in HIS holiness alone for Eternal Life. Gary’s right! Works cannot save you. Expreacherman.com is a community of believers that ascribe to salvation by grace alone, through faith in Jesus/Yeshua and His finished work on the cross. I am learning a great deal. Excellent article . Excellent. It's all I have to say. Thanks Gary! Everything you wrote is just so spot on! God bless you as you continue writing and sharing what is on your heart. I agree with you that time is short I also think the fig tree parable is key. 1-3 years is all I see too. Looking up as our redemption draws nigh!! I couldn't agree more with you about the English translations. I can speak, read and write Hebrew and we do need to remember with all translations that they are not the original. I have discovered amazing truths by reading my bible in Hebrew. The Holy Spirit is well able to work with us and lead us into all truth, be that English or Hebrew. Great reminder Unknown. 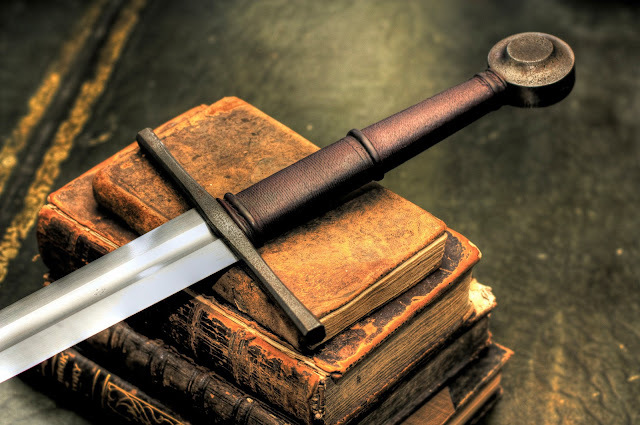 The wealth and treasury of knowledge which many Christians are completely unaware of because of their unwillingness to "look deeper" into the Hebrew and Greek is astounding. The Church has done more work in looking at the Greek, but until very recently precious little into the Hebrew, present company excepted certainly. When I learned, by God ordained appointment, the things I had never even heard mentioned which added to my own understanding of the truth of Jesus Christ and His own history I literally went through the stages of grief - Denial, Anger, Bargaining, Depression & Acceptance. The grief was ultimately replaced, as God had intended, with purpose to be a part of resolving the problem rather than to merely accept it. It is a journey which has been more precious than anyone could imagine. A tiny fruit of that journey is in the article I've linked on Hanukkah and its roots, which lead all the way and focus directly on Jesus. I pray you enjoy and are blessed. Click Here for Hanukkah! The evening of Monday, January 20, 2019 and morning of Tuesday, January 21, 2019 fall 486-days after the beginning of the Great Sign on Saturday, September 23, 2017. That drew my attention to the Psalms and the Great Sign. anguish as of a woman in labor. I'm finding errors in my original post that must be fixed. An updated version will be posted shortly. I am continuing this topic at Gary's post, BREAKING: Was The Covenant With Many Just Made? Sparky and Gary: Actual study of the Scriptures themselves reveals many truths pertaining to the “faith without works” and “faith and deeds” controversy (e.g. our Lord’s words in John 6:40 vs. His words in Matt. 7:22, or Paul’s often quoted words in Eph. 2:8-9 and James 2:14-26) AND what you call the PR theory that you are not apprehending. If you value truth more than comfort, dig in! Just curious Deanna, what's the PR theory? Hello, Richard! Both Gary and Sparky (I believe that was his/her name) referred to something they call a PR or partial rapture “theory”. Just as the Scriptures teach that salvation is by grace through faith and not by works and IS eternal, they also teach that all men will be held accountable for our deeds, and will be rewarded OR punished accordingly (e.g. Gal. 6:7-8; 2 Cor. 5:9-10; Col. 3:23-25, Rev. 2:23). This series, “Resurrection, Rapture, Judgment, and Millennium,” addresses how God reconciles these two seemingly (but not actually) conflicting truths regarding faith and deeds for believers (the old “faith without works” vs. “faith and deeds” controversy) BEFORE the last day when the old order of things will pass away and the New Jerusalem appears, with every believer a mature part of it (see Rev. 20:11 - 21:5; Eph. 4:11-13). Part 1 of the series (URL provided below; just copy and paste) studies what God’s word teaches primarily about the first resurrection, which precedes the New Jerusalem and the main resurrection of believers in Jesus Christ by one thousand years. This is a prize rewarded for deeds prompted and empowered by the Holy Spirit - the only deeds that will endure the baptism of fire that all believers will encounter at Christ’s Bema seat on Judgment Day. 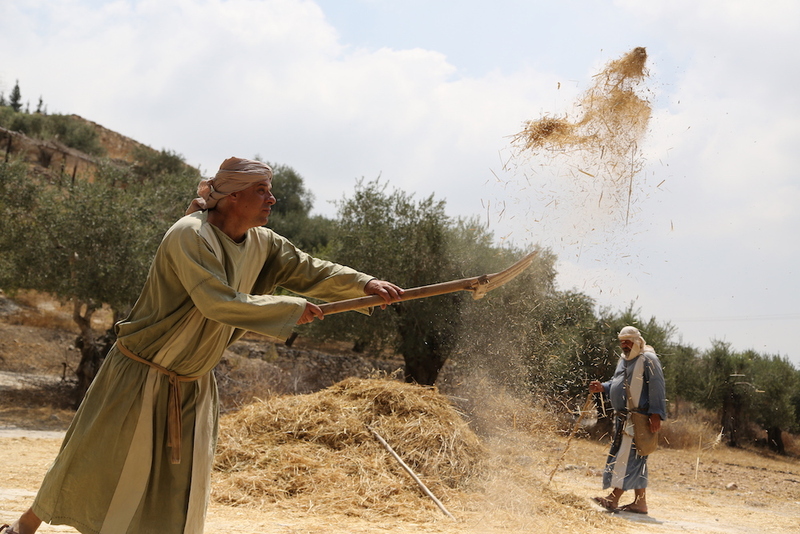 The timing of the harvesting/rapturing of those believers living at the time of the first resurrection, Paul’s goal that he suffered martyrdom for, and some OT examples we are exhorted to learn from are also addressed. 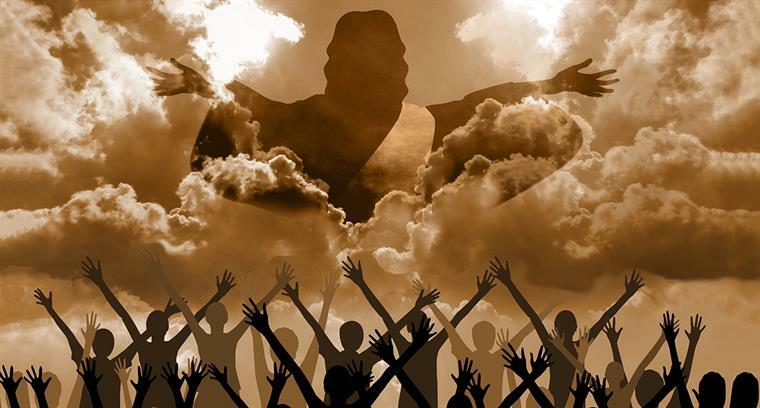 Understanding this matter is urgent because Jesus is coming VERY SOON, and, as He prophesied, much of our end-times Church is not prepared for the coming judgment. Most Christians are unknowingly deluded, lulled to complacency - worse yet, sleep - by believing false teachings. It’s high time to renew our minds. Praise God, His word is omnipotent, and false doctrines crumble as truth is wholeheartedly sought, studied, and apprehended by those with eyes to see, ears to hear, and hearts to understand! Thank you Deanna, I've just started reading through your blog and your response above! Thank you, Richard. Part 2 was just published! (Whew!) Please read at least Part 1 (and preferably the Overview also) before Part 2. If you take a good look at the 2017 World in Review cover of "The Economist" magazine you will note that "The Hermit" portion of the cover page includes a globe atlas of the earth. And on that globe is shown the UK and France joined as one body AND you will see that France is fated to lose its provine of Alsace Lorraine...the cspital of which is none other than Strasbourg...the seat of the EU Parliament. The yellow vests are intended to shake and spread across the entire planet. They are in no way an organic phenomena. They are a mechanism to sieze dictatorial control by the powers that be.